Before I started learning parkour four years ago, I was shy and had no confidence, coordination or balance. I was a tiny little guy that spent all his time on the computer. But once I caught the parkour bug, all that changed. I couldn’t stop! You could see improvements in my balance and my concentration, and as I built my confidence in my jumps and flips, I could transfer that into other parts of my life. I used to be nervous - now I feel I can do anything. I am concerned that parkour still divides communities, with many people thinking it’s just anti-social behaviour. There have been occasions when I have been encouraged to fall, land on my head, and break my neck. It’s disrespectful – people don’t understand what we’re doing and the hard work it’s taken to learn our skills. With the help of Fixers, I want to challenge this negative view and help people see parkour as an art form. 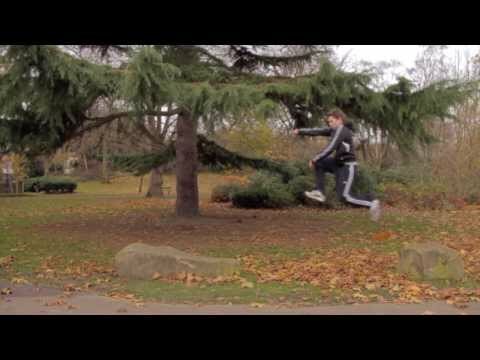 I’m hoping to create a film to show parkour as a creative activity, with benefits for both body and mind. Waveney Gymnastics Club supports my Fix. Alex Row from the club is now involved in my project and was interviewed to appear in my broadcast piece.